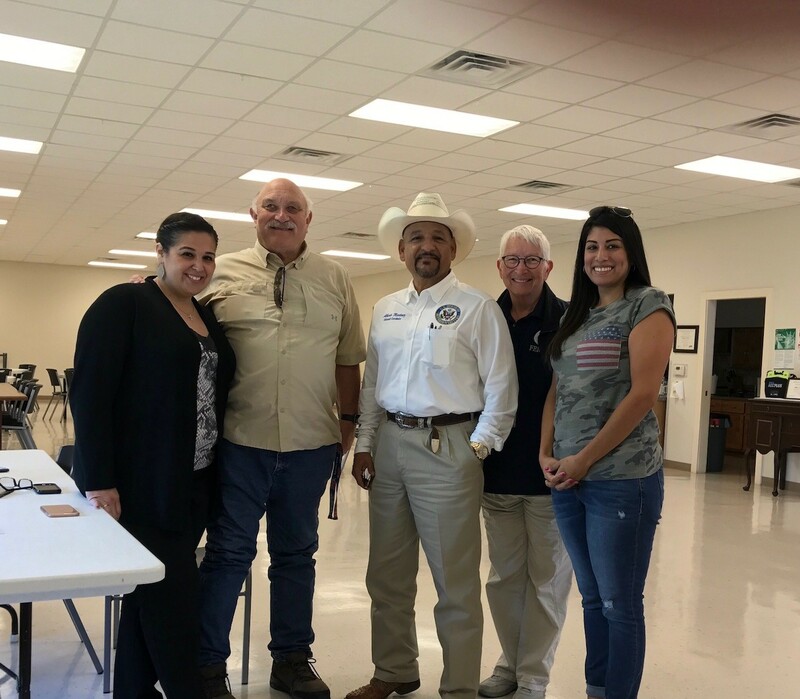 Following Hurricane Harvey, a FEMA Disaster Meeting was held for residents in Karnes County. Individuals who were present at this meeting include CCSCT County Coordinator Mary K Lopez, CCSCT Board Member Katherine Gonzales, Karnes County Emergency Manager Shelby Dupnick, National FEMA Representative Nancy, and Outreach Coordinator for Congressman Vicente Gonzalez’s office Albert Martinez and residents of Karnes County. During this meeting, FEMA set up a table to help residents apply for assistance. Residents also had the ability to check the status of their FEMA application if they had already applied. CCSCT County Coordinator, Mary K. Lopez also assisted clients with completing applications to receive disaster relief directly from CCSCT. This included such items as gas cards, clothing, infant supplies, rental assistance and vouchers for temporary shelter.